WhatsApp for iOS received an update today, bringing some additional improvements to the messaging platform. For the first time, users can now tap "send" on messages when they don't have a connection, and the messages will be sent when a data connection is re-established. Multiple messages can be queued up in the offline mode, so users are free to carry on their side of a conversation until connection resumes. 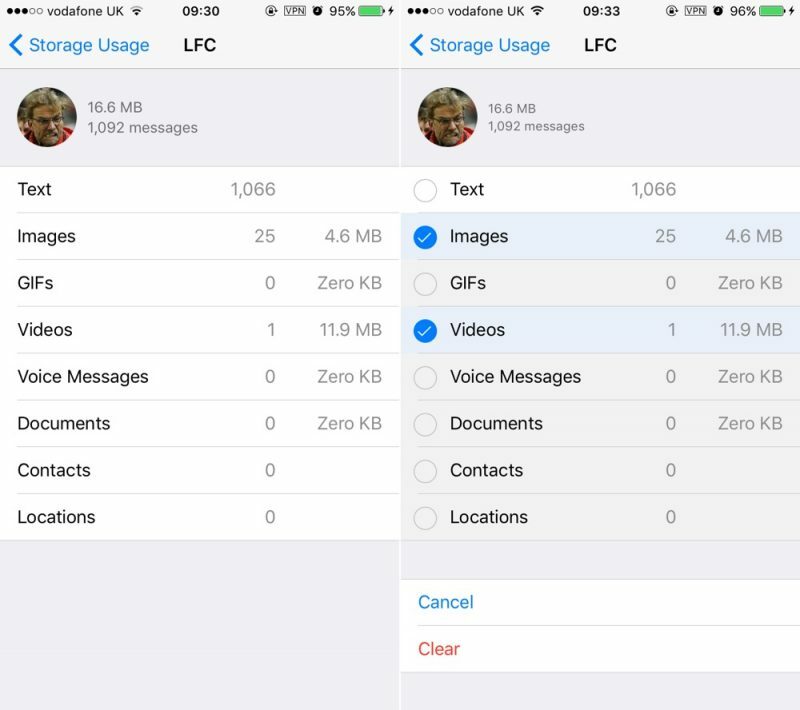 Elsewhere, WhatsApp developers have redesigned the storage usage screen, which now lets users manage their phone's storage space by deleting selected message types, such as videos, from specific chat threads. The storage screen options can be accessed by going to Settings -> Data and Storage Usage -> Storage Usage and tapping "Clear Chat". Lastly, the v2.17.1 update enables users to send up to 30 photos or videos at once. Snapchat got an update too.